The Blonde Blogger: LITTLEST PET SHOP Giveaway Galore! LITTLEST PET SHOP Giveaway Galore! As my daughter is preparing her letter to Santa, there is one item guaranteed to go on her wish list: anything and everything from Hasbro's LITTLEST PET SHOP line of toys. It's the hottest thing for her and her friends this year. In fact, it's long been a hit with all of them. I can certainly attest to that after collecting dozens of LITTLEST PET SHOP dolls accidentally left behind on my deck and in the sandbox many a time. Click here to see dozens more by this user, including LITTLEST PET SHOP birthdays, holidays, wilderness trips and more. See what I mean? There's a reason so many people love these cute little pets! The best part about this pen is that it's several toys in one. Not only can your child write with it, but there is also a removable TEENIEST TINIEST PET on top as well as a digital, on-screen pet that your child can "brush," "feed" and play games with. The pen comes with sticker sheets and paper for your child to write on as an added bonus. Natalie has always been into stationery for some reason so she loves writing with the pen as much as she loves playing with the pets. How adorable are these pets? Natalie's are always wet as she constantly plays with them in the bathtub. The wave accessory comes with the two pets. So cute! Natalie is a huge dog lover so these are two of her favorite pets. Notice the two girly skirts that come with the dogs. A perfect touch! Now this one really wowed Natalie. She feels so grown up with her own PDA. And what I love most about it is that it actually made her excited about math. "Mom!" she said to me. "I can practice my multiplication tables on this!" Doesn't get much better than that. "Use the touch screen and stylus pen to care for your new digital pet, feeding, washing and even brushing him! Spend the day doing some virtual shopping together and pick out hats, hair accessories and shoes so you can dress your four-legged friend! Play games and plan all kinds of pet-lovin’ activities! Snap a picture at your pet’s photo shoot! Think he might be hungry? Choose some food to feed him! And with all the fun you’re sure to have, you’ll need to keep track of your plans. You can also use your digital planner as an address book, a calendar for storing special dates or as a calculator! Take your planner with you when you’re on the go. With more than twenty-five on-screen games and activities, your calendar is sure to be chock full – of fun!" Can you believe they can pack that much fun into one little toy? I actually have to pull Natalie away from it at times because she's on it SO much. Here's another toy that has more to it than meets the eye. In addition to the adorable, plush pet, there is a code hidden under its color that lets your child access the virtual world of VIP pets on the LITTLEST PET SHOP web site. There, your child will find games, activities and fun surprises. To enter, simply leave a comment here letting me know about a product you love from the LITTLEST PET SHOP website. For a bonus entry, blog about this contest with a link to this post and to LITTLEST PET SHOP, then leave a separate comment here with your link. Be sure that a valid email address can easily be found in your profile, or you can leave it in your comment. Entries from those who do not provide a way to find their email address will be disqualified. Deadline to enter is 11:59 p.m. EST, Monday, November 17, 2008. Winner will be selected at random using Random.org and posted here and contacted by email. Winner has two weeks to respond to notification or the prize is forfeited. GUESS WHO? Littlest Pet Shop Edition. I always loved this game. We have the Go Fish Littlest Pet Shop version at home and my 5-year-old absolutely loves it! It's fun to play and helps her with number recognition. I know my daughter would love the LITTLEST PET SHOP DISPLAY & PLAY ROUND & ROUND PET TOWN. She keeps asking me if Santa will bring her more littlest pet shop stuff. My daughter would love to have the Littlest Pet Shop Get Better Center. My daughter said last night she wants Santa to bring all the littlest pets. She is really wanting the Clubhouse. my daughter really wants the digital planner. 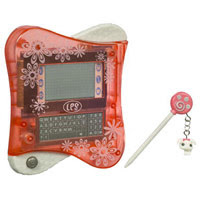 I think the littlest pet shop digital planner sounds like a great gift! My daughter says she wants to be a pet doctor when she grows up so I think the get well center would be her favorite. We have several granddaughters (we have 5) who would love the VIP Butterfly, or anything from that line I shouldn't wonder. 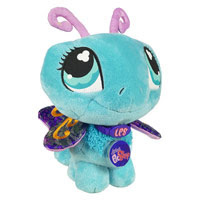 Love the littlest pet shop beauty shop on their site, and the prizes here are amazing!! Thanks for the chance! I think Gracie would like the tail waggin' fitness club. Thanks for the chance. I like the Littlest Pet Shop VIPs Bunny. It's way too cute~! I love the digital diary.. any animal. wow i love to try and win this i just think thay are realy cute and well my little one loves the stuff pets i rember when thay frist came out years a go and well my oldest had the pet shop toy store and some of there pets . I love the LITTLEST PET SHOP Digital Pet (Kitty)! My daughter loves the Littlest Pet Shop items. I know that she really wants the LITTLEST PET SHOP Get Better Center Playset from Santa for Christmas. Thanks so much for this great giveaway. I would really love to win this. Thanks. I think the difital planners are cute. LITTLEST PET SHOP VIPs: VIP Friends (Panda and Turtle) is AWESOME!!! My granddaughter would go flipfloppy for this! My niece loves Littlest Pet Shop. LITTLEST PET SHOP Portable Pets - Parrot with Swing is my pick, very cute! I like the Guess Who Littlest Pet Shop Edition game. I used to love the Guess Who game when I was a kid, and my girls would love it, too. I swear my grandaughters have every littlest Pet shop animal made. They lay for hours with them. We got them the LITTLEST PET SHOP DISPLAY & PLAY ROUND & ROUND PET TOWN & they love it. My daughter has only started getting into these. I love the Pet Pairs Octopus and Fish. She loves the playsets. I think she would like the Get Better Center alot. The Plush LITTLEST PET SHOP VIP Dog would be a favorite in this household. 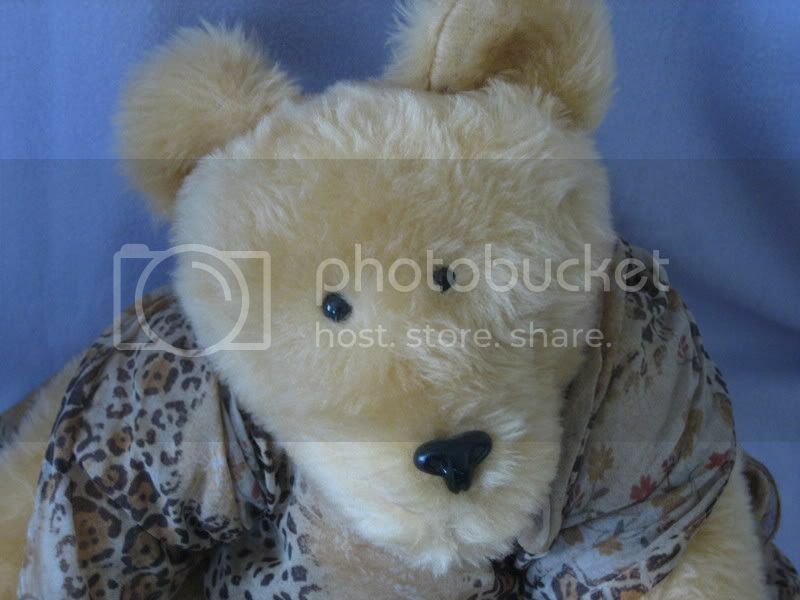 I would be the best auntie ever if I won this for my neice. She would love the butterfly pet. 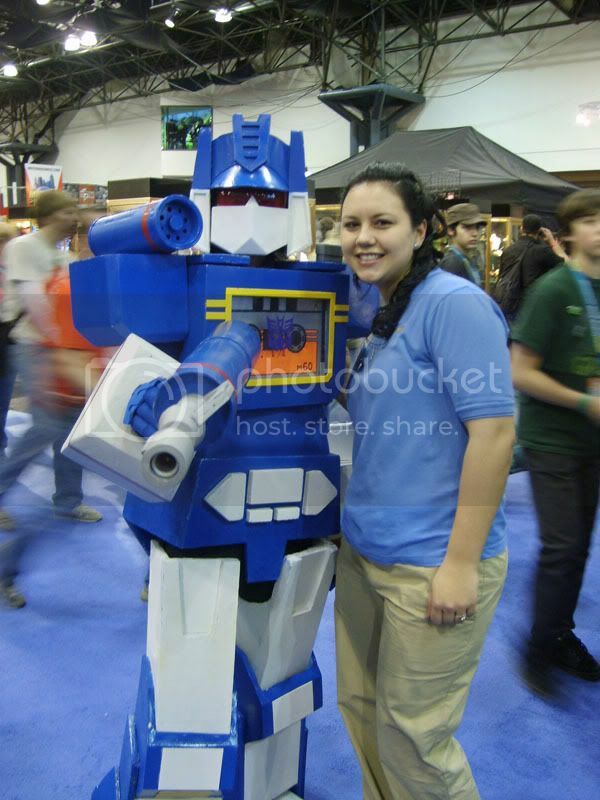 Added this to my Contests page! The Get Well Center would be my choice. love the Pet Shop Digital Planner! I love the LITTLEST PET SHOP TAIL WAGGIN’ FITNESS CLUB. Fitness is big in our family so this is a great way to encourage that. Little Petshop Digital Planner would be greatly like from my daughter. My niece says that she wants to be a vet. She would love the Get Well Center. I love so many of their products, but we desperately need the carry case to control all the pets we already have! For sure it would be the digital planner. My daughter doesn't know about this (yet). I'm sure when she finds out it will go right on her Christmas list. We love the pet shop digital planner. The Guess Who? Littlest Pet Shop edition game! Looks like fun and my daughters would love it! Thanks for the great giveaway! My favorite is the chinchilla from the V.I.P. collection-it is so cute! My 4 yr old grand daughter is addicted to Littlest Pet Shop and loves her LPS Backpack with all the animals. So we'd have to pick the LITTLEST PET SHOP TAIL WAGGIN’ FITNESS CLUB. Thanks for the chance to win these great items! My daughter already asked for the PDA for for Christmas this year, so I'd have to say that is my favorite. I also think the adorable little Wagging Fitness Club kit is adorable too! Love the wagging fitness club kit. My daughter adores the littlest pet shop sweet shop! I love the ponyville pinki pie balloon house playset. I love the LITTLEST PET SHOP Digital Pet Care for Me (Cat)! I like the Pet-Lovin Showcase--so my daughter can store all the LPS toys she already has! ;) Thanks for the contest! I think my daughter would love the Clubhouse. Thanx for the contest. I think the GUESS WHO? Littlest Pet Shop Edution- is neat, my niece would love that game, I'm gonna put it on my christmas shopping list! I love the raccoon vip!! Too cute!! I'd love to win for my daughter!! My daughter would love the LITTLEST PET SHOP PAWS OFF! Electronic Diary. Thanks for the great giveaway. My daughter really wants the Littlest Pet Shop diary that opens with the secret code word! Great giveaway. Littlest pet shop vips monkey is pretty cute! My kids love monkeys. Thank you so much for entering, what a fun bunch of prizes. My daughters would have great joy playing with Littlest Pet Shop Tail Waggin’ Fitness Club. We do the Pet Shop print and color all the time. I love the Littlest Pet Shop VIP grey kitty. Thanks for the great giveaway! This would be perfect for Christmas! I think the LITTLEST PET SHOP BIGGEST LITTLEST PET SHOP Playset would go over well in our house! My daughter has been drooling over the Clubhouse and the digital planner! My daughter would love pet shop digital planner. My niece would love the Littlest Pet Shop Get Better Center. How cute! Thanks for the giveaway! 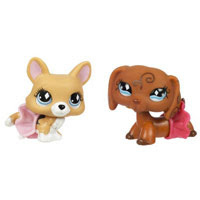 The LITTLEST PET SHOP VIPs (Bunny) is super cute! There are like 20 littlest pet's in my daughters bed every night. She's a huge fan and her top xmas item is the Littlest Pet Shop Tail Waggin' Fitness Club Playset. It comes with the ever wanted Kangaroo,also, so I think that's why she really wants this. the nintendo ds games i just got this weekend. My 5-year-old daughter is a huge fan of LPS! She'd really love this!! My favorite LPS item is the LITTLEST PET SHOP TAIL WAGGIN’ FITNESS CLUB because I work at a gym. My niece LOVES Littlest Pet Shop! We looked at the website together, and her favorite is the Bakery playset. i like the get well center. I like the LITTLEST PET SHOP BIGGEST LITTLEST PET SHOP Playset. My daughter would love the Littlest Pet Shop Get Better Center!!! She loves this stuff!! Thank you for a super great contest!!! We have the Biggest Littlest Pet Shop house, and my daughters LOVE it!! We hope to purchase the Digital Planner for Christmas. Thanks!! 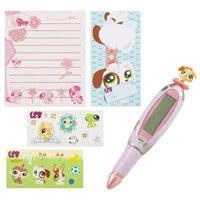 The LITTLEST PET SHOP Digital Planner (Pink) would be my daughter's favorite. Thank-you. Thank you for having this. I would love to win. I like the digital planner. Thank you! I cozy campfire playset is so cute! The ladybug is very cute. I like the Littlest Pet Shop Tail Waggin Fitness Club. I loved the LITTLEST PET SHOP TAIL WAGGIN’ FITNESS CLUB - great giveaway, thank you. I think my little girl would like the birthday celebration playpack. My granddaughter would love to add the VIPs Gray Kitty to her collection. The LITTLEST PET SHOP STORE ‘N GO PENCIL CASE Playset is so cute! My daughter would LOVE that digital planner in purple! I like the littlest petshop spider, I love spiders and they make them appoachable by making them so cute!!! I like the little fitness club. Oh my gosh! I had no clue they had a dachshund! That is going to be a must have for my daughter. We own a doxie and she adores him. She insists on buying every stuffed and toy doxie we see! hehe THANKS! My favorite is the LITTLEST PET SHOP VIPs (Pig). Those youtube videos are a hoot! My daughter would love the LITTLEST PET SHOP Cozy Campfire Playset. The digital planner is very cool! The tail waggin' fitness club is pretty darn cute! As are all the plushies! The pencil case gift set is neat. Thanks! The LITTLEST PET SHOP BIGGEST LITTLEST PET SHOP Playset looks awesome!!!! With a little girl from China, we have kinda a Panda thing going here and the LPS Pandas are hard to find - they would certainly be our favorite - LITTLEST PET SHOP VIPs (Panda)! What a great giveaway...thanks for letting me know about some of these great options! I love the LITTLEST PET SHOP TAIL WAGGIN’ FITNESS CLUB. Thanks for the contest! I like the VIP Pets. Especially the pony. Way to catch up to Webkinz LPS! Thanks for the great contest! LITTLEST PET SHOP VIPs (Gray Kitty) was my pick but you have so much cute stuff so it was super hard to choose just one thing. Thanks for giving us all a chance at an awesome giveaway. My daughter says the LPS fitness center... but I think she'd have hours of fun with the new LITTLEST PET SHOP GARDEN game for NINTENDO DS. Wow I didn't know little pet shop had grown so much. I like the bakery set and the digital planner. Thank you for a chance to win. LOVE the digital planner! My daughter would love to have one for Christmas. Thanks so much for the generous giveaway! I love the LITTLEST PET SHOP STORE ‘N GO PENCIL CASE Playset. In fact, the whole line of toys is adorable! I think the Guess Who? game would be fun. The DS game and the VIP Spider are already on our kids' Xmas lists. These additional items would send them over the moon! I like the octopus. My niece is a petshop fanatic. Thanks for the contest. My daughter likes the Littlest pet shop Guess Who game. My kids just love the The Guess Who? Littlest Pet Shop edition game. They can't get enough of it! My daughter likes the GUESS WHO? Littlest Pet Shop Edition. Thanks for the contest. I love the LITTLEST PET SHOP Carry Case! It's a great way to organize all of those tiny Littlest Pet Shop pieces! I really like the Littlest Pet Shop Digital Planner, thanks for the giveaway. "Littlest Pet Shop" toys. 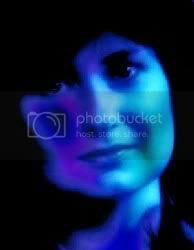 I would love to win your contest for her Christmas gifts. The "Littlest Pet Shop Digital Planner (pink) is really fun looking. Thanks for the chance! I like LITTLEST PET SHOP Digital Planner (Purple). I love the VIP hermit crab. OMG does it get any cuter than that. littlest pet shop was one of my favorite types of toys as a kid! i like the new look, but i wish they were smaller (like the originals) and kept a little of the subdued overall look! I really like a lot of the new products though, with the wider variety of characters. my favorite new product has got to be the skunk! My daughter and I love The Little Petshop Digital Planner, very nice giveaway! The bargain hunter playset is really cute! My daughter would LOVE the LITTLEST PET SHOP Digital Pet Care for Me (Cat)! Please count me in! Thanks for such a great giveaway so close to Christmas. This could be a really big help! Blogged this giveaway and lots of other great giveawayshere. Be sure to check it out and from one blondie to another: THANKS SO MUCH! My daughter loves th eLittlest Pet Shop. One of the items at the top of her list is the Littlest Pet Shop Tail Waggin' Fitness Club. This giveaway would be great for her! Thanks! my daughter would love the pet shop digital planner. I have 3 daughters (10, 4 & 3). This would be a big hit here. My 10 year old wants the LITTLEST PET SHOP Digital Planner! The Littlest Pet Shop Beauty Shop is really adorable. I would have loved these as a kid! Thank you! The Littlest Pet Shop Pet Portable Skunk is really cute. I'd like to enter please. My daughter is way into little things (any kind of miniatures) and loves the littlest pet shop. My daughter LOVES LOVES LOVES these guys! I like the Sleddin' Fun one fro their website. My daughter would love to have the beauty parlor! My daughters love Little Pet Shop! My oldest has been asking for the Digital planner for Christmas. The Little Petshop Digital Planner is great! My daughter loves Littlest Pet Shop so much and has been collecting them for some time now. We love the Littlest Pet shop VIP Bunny. Definitely adorable. I would love to be able to add these items to her collection. Thank you so much for the wonderful giveaway. The VIP Hermit Crab is too cute! They have a new item I have recently seen on tv and on their page, it the Littlest Pet Fitness Center. My 3 yr. old says "I want that" everytime she sees it. The Plush LITTLEST PET SHOP VIP Dog would be my daughter's fav. Thanks for the chance to win. I like the LITTLEST PET SHOP WINTER game for NINTENDO DS! The Little Petshop Digital Planner is great. My little sister would love it! I must admit though I really love the Littlest Pet Shops, the days where I accidentally step on them while cleaning the house, I'm tempted to dump them all. I do really love the Cozy Campfire Playset though, they're great gifts, and played with alot! I love the Littlest Pet shop tail wagging fitness club ! I liked the Littlest Pet Shop Tail Waggin' Fitness Club. My kids would love it. The Ponyville pinki Pie Balloon House playset is the greatest! Oh my gosh! Roo would flip out! She loves these things. And don't tell anyone, but Jasper loves them, too! The LITTLEST PET SHOP VIPs: Gray Kitty is our favoirte!! They are so cute! I like the Ferret the most. The pet shop digital planner would be fantastic for my daughter! We love the fitness playset!! The LPS Digital Planner would be great for one of my Goddaughters. Thanks for the chance to win. my 8 year old LOVES Littlest Pet Shops and collects them. She has the LPS Monopoly on her Christmas list and I know she'd love a dog VIP pet as well. Delicious Pillsbury Review and Giveaway!